Stroll Boston. One Bite at a Time. 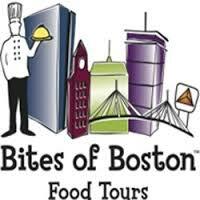 At Bites of Boston Food Tours, we are passionate about all things Boston – including the fabulous culinary scene. There is a lot to love about this city and we can’t wait to show you some tasty reasons why! For us, great food has always been an integral part of exceptional days and memorable vacations. To our pleasure, living in Boston means having an abundance of delicious and ecclectic food options at our fingertips every day. This shared love of food and the urban lifestyle is what inspired the creation of Bites of Boston Food Tours. Mouth-watering food samples provide the foundation of our tours but as Massachusetts natives, we also possess our share of local knowledge. By combining sweet and savory food tastings with fascinating stories and a dash of history and architecture, we have created the perfect recipe for a fun, one of a kind way to explore Boston’s neighborhoods. We hope you’ll see Boston the way we do and feel more like a local at the end of your tour experience. We hope you will return to the neighborhoods on your own and feel confident navigating your way through the streets, back to your new favorite eateries and specialty shops. Bites of Boston Food Tours was recently highlighted on Fox61 News DayTrippers: Click here.